Parks are great place to hang out and have fun. A fun to go is in the evening when not as many kids are present Race to the swings, see who can swing the highest, go down the slide just have fun. Cook together start by planning on what you will be cooking. shop for the ingredients. The grocery store can be as fun as well. Cooking together means working together and gives you both an idea of if you can get along together or not. Go to festivals, farmer markets, or in our area there is always something going on that cost little to nothing to hang out, have fun, and check something new out. Go camping, now with my teens we go camping as a family and they are not allowed in each others tent. Build a bonfire, roast hotdogs and marshmallows, look at the stars, make wishes and yes have fun. Become an artist play with sidewalk chalk and create drawings. This can be done most anywhere because it washes off with water. Whatever you decide to do remember having fun doesn't have to cost alot of money. Recently I had the opportunity to try the Bikini Kitchen Booty Butter and found it a rewarding experience. Bikini Kitchen Booty Butter is for moms like me who do not have the time to tan. It works quick and leaves a lovely tan. The fake bake, orange skin is no longer needed because now there is the natural glow that Bikini Kitchen Booty Butter gives. Best of all booty butter is made of all natural ingredients that are found on the islands of Hawaii. The special Hawaiian Kukui Nut Oil helps to speed up the tanning process allowing moms who are limited on time to take a quick break to sit out in the sun and quickly get a glow. The booty butter has no offensive order either like some brands do. Booty Butter contains Kona Coffee extract which gives off a mouth watering aroma. For those of you that are like me and have dry skin Bikini Kitchen Booty Butter contains macadamia nut oil, light mineral oil and aloe vera that will help moisturize the skin. One of Annies Home readers will win their own bottle of booty butter. 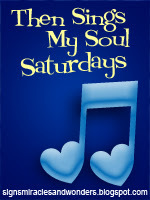 Simply visit the website and let me know something that I did not share with you. Check out the healthy sun tips. Giveaway starts now and ends June 12, 2010. Good Luck Email must be in comment or on blog r entries will not count. Breakfast Who will you be thinking mostly about this Memorial Day? Lunch What are your Memorial Day traditions? Dinner How many graves do you usually visit on Memorial Day? Midnight Snack What is one thing you hope to remembered for? One thing that I love about Summer time is all the great rummage sales. I especially love it when the rummage sales are part of a town wide celebration where the town has many rummage sales in it. This is very cool because save time, save gas, save money and make great buys. 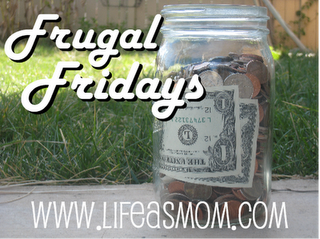 That is what I call frugal. I am not sure if you have town wide rummage sales in your area but if you do then you may just want to check them out. Yes there is I would love to speak in public leading a class of mothers one day. However, right now I stay behind the stage and just help where I can. 1.In the past month, what was your biggest OOPS? 2.In the past month, what inspired you to let out your most heartfelt WHEW? 4.In the past month, what influenced the most ZZZZZZZZs? 5.In the past month, what was most GRRRRRRRRR-worthy? Wow this week has definetly went very fast and once again it is Friday. Friday is the day to participate in Aloha Friday hosted by the blog An Island Life where bloggers join together to participate in an easy meme styled after the way fridays are seen in Hawaii. Hawaii is seen as a day of relaxation to get ready for the weekend in Hawaii so bloggers participate in Aloha Friday by asking simple questions that require simple answers. Will you be doing anything to celebrate Memorial Day? Found this recipe in a Kraft newsletter that I receive and though wow perfect recipe for me sounds great and I love the 5 minute aspect. I may have 5 minutes to spare but not much more summers for us are very busy. PLACE lettuce on serving platter or in bottom of glass serving bowl. COVER with layers of beans, corn, salsa and cheese. Are you an aspiring photographer? Are you planning on taking a little time off this summer to enjoy yourself? Whether it be a vacation or a staycation Energizer wants you to take lots of great pictures. Choose just the right one and enter into the Energizer Ultimate Photo Contest. This is the third year that Energizer is sponsoring the Ultimate Photo Contest where the grand prize is National Geographic Expedition for two to the Greek Isles as well as having your photograph appear in an Energizer Ultimate Lithium ad in the National Geographic. Wow what a dream come true a great vacation as well as having your picture appear in a popular magazine. The Energizer welcomes all participants no matter the skill level. You can enter at www.energizer.com/lithium. Whatever your skill level look for that perfect shot to Get a "Shot" at Greatness. The winner of the third annual Energizer Ultimate Photo Contest will have their picture featured in the December issue of the National Geographic magazine in an Energizer Ad for Ultimate Lithium batteries. The winner will also receive a trip of a life time to the Greek Isles. There are six thematic categories including animals/wildlife, nature, travel, people/cultures, weather and action/energy. Entries are being accepted at www.nationalgographic.com/lithium through June 30, 2010. After June 30, 2010 the pictures will be reviewed and two finalists in each category will be selected. Americans will be able to vote on their favorite starting August 17 by going online and voting for their favorite. The voting will end September 15, 2010 and winners will be announced November 4.
composition, clarity and technical quality (25 percent). Energizer Ultimate Lithium batteries are the world's longest lasting AA and AAA batteries in high tech devices. The batteries last up to 8x longer in digital cameras and up to 2x longer in flash units as well as lasting longer in portable GPS units, LED flashlights and handheld games. I am not sure about you but I love a product that does its job better and saves me time These great batteries also have a storage life of 15 years as well as perform well in extreme temperatures from -40 to 140 degrees Fahrenheit. Giveaway starts now and ends June 11, 2010. Good Luck. 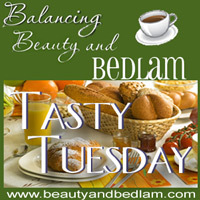 Email must be in comment or on blog or entries will not count. I received 2 packs of batteries and a $10 gift card free of charge as a thank you for spreading the word about the contest. Does your children suffer from allergies? I can tell you that my teens all did and a few of them still do. It seems to be a curse in this family to have asthma and allergies. 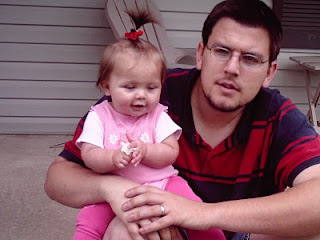 Me, my siblings, my children, my nieces and nephews and even my little Princess has at times suffered from allergies. One thing that we have found to be useful is Claritin. Recently we were able to try Children's Claritin out when we were sent a package from Bzzagent. They worked for our family and if your children are suffering with allergies you may want to them as well. They are available over the counter nearly everywhere that they sell medications. Combine first 6 ingredients in a jar. Shake well. Pour mixture over vegetables. Refrigerate for 2 hours before serving. Cut cantaloupe into 16 cubes, about 1 inch each. 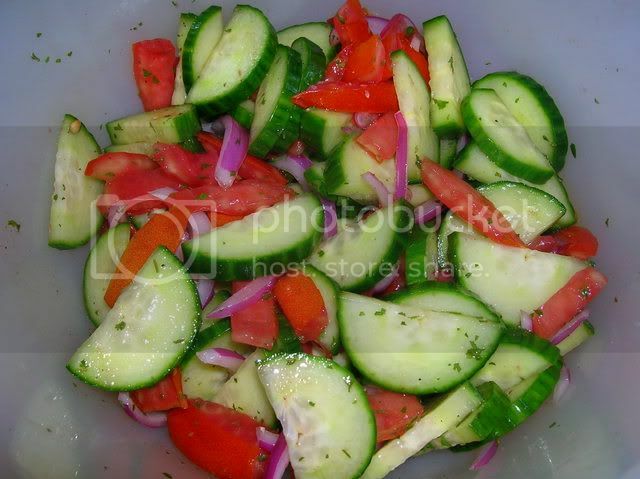 Use a vegetable peeler to slice 16 long strips of cucumber. 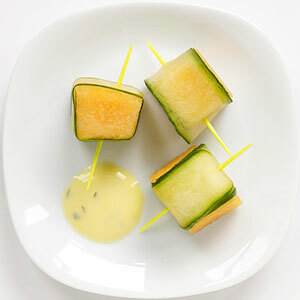 Wrap strips around melon cubes and insert a toothpick. Stir together 6 ounces plain yogurt, 2 tablespoons orange-juice concentrate, and a teaspoon of chopped cilantro for a dipping sauce. It's going to get hot out there and we all need to be prepared. One of the cool things that I found recently to not only stay cool but have a bit of fun are the chilly twist cups. If you do not know what chilly twist cups allow me to tell you all about them. Chilly Twist cups are wonderful cups that contain a base that can be frozen in the freezer and then twist back on to keep your drink chilled. Do you hate when the ice melts before the drink is gone? With the Chilly Twist cup this will not happen again. The base of the Chilly Twist cup twist off to be placed in the freezer and is taken out twist back on and keeps your drink nice and cool to help beat the summer heat. Your last drink will now be cooler than the first and your ice will not melt as easily. Variety is something that is very possible with the large assortment of colors of the Chilly Twist cup. Not only is there alot of colors of the cups but when you consider the bases that can be interchangable that makes the variety of color even greater. This will be great to I.D. your cup and as my children always liked to do they can create their cup and know that it is theres. The cup is considered indestructable by the company and I can say that it is a hard plastic that seems to keep its shape nicely. Choose not to use the base you can still use the chilly twist cup and when you are ready to store them in the cabinet they stack nicely on each other. I tell you these cups are wonderful for the kids in the pool and to take outside because they do not break easily. Win : two (2) of Annies Home readers will win a Chilly Twist cup of their own. To enter giveway: visit the Chilly Twist website and let me know something that I did not share with you as well as what color of cup you would choose. Giveaway starts now and ends June 11, 2010. Good Luck Email must be in comment or on blog profile or you can not win. Place 4 of the waffles on a work surface. Spread one side of each with the mustard (if using). Top with the ham, cheese, and the remaining waffles. Spread the top of each sandwich with 1/2 tablespoon of the butter. Melt the remaining butter in a large nonstick skillet over medium heat. Place the sandwiches in the skillet, buttered-side up. Cook, pressing occasionally with the back of a spatula, until the cheese melts and the waffles are golden, 3 to 4 minutes on each side. Today as I think about all that I am thankful for my thoughts go back to my childhood and Memorial day when I was a kid. I was lucky enough to grow up in a neighborhood and small town that taught many values. We grew up to respect our elders, taught to respect the flag and respected those that gave all. From the stories my parents told me and the veterans that would group together at hardware stores I learned a lot. I learned that all though we may not have known each and every soldier that did not come back home to their family that they were part of our family because we were Americans. As I grew up I came to realize this even more when I saw boys my children age sign up to head to the military and saw some not return back home. How their parents grieved, the city grieved, the entire area grieved because they gave all. So today I tip my hat and salute those that protected our freedoms and came home to demonstrate to us care and support of our country and for those that gave all and their families they left to early in life I say Thank You. My teens have been keeping the pizza man busy as of late. 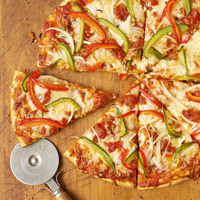 They also love to make their own pizza so when I found this great recipe on Parents online site I thought I would share it with them and all of you. Heat oven to 450°F Place pizza crust on a large baking sheet. Spread 2/3 cup of the salsa over the crust. Sprinkle the cheeses over the salsa. Spoon remaining 1/3 cup salsa over cheese; scatter pepper and onion over the top. Bake at 450° or 10 to 12 minutes or until heated through and cheese is melted. Allow to cool slightly. Cut into 8 slices. In a large bowl, combine potatoes, green pepper, and onion. Blend remaining ingredients; add to vegetables. Mix well to combine flavors. Cover and refrigerate. Chill potato salad thoroughly before serving. Whats Going On The Left SIde of the House. Where I live I am not surrounded by the ocean but rather ponds, lakes and a river. All of which have sandy bottoms just like the beach. Have you ever come out of water and the minute you are out walked through the sand which quickly clung to your dripping wet body then Sand Gone is for you. 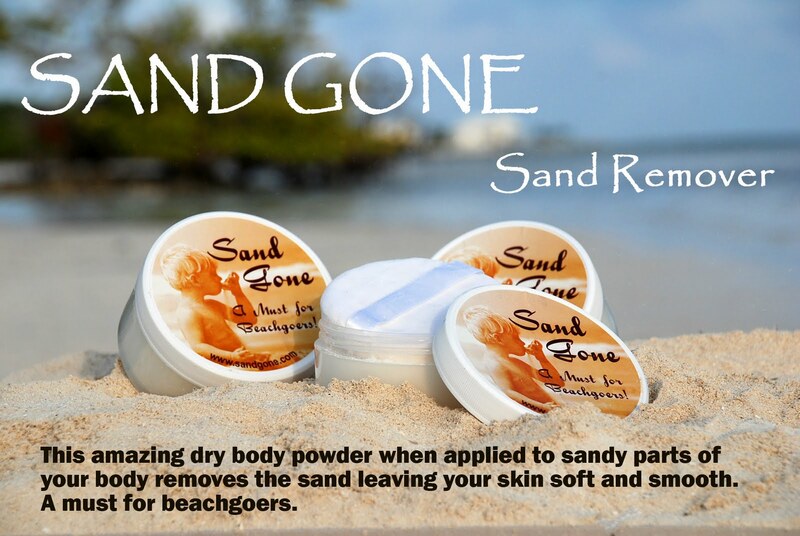 Sand Gone a product that is brand new on the market. It is an amazing dry powder that when applied to sandy parts of your body removes the sand leaving your skin soft and smooth. This is what any beach goer needs whether the water where you swim is the ocean, pond, lake or river. Sand Gone was founded by a housewife and mother from Florida Tiffany Smith. 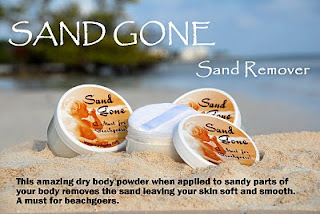 Sand Gone is non toxic, non tale, easy to apply and use, has a great smell, feels good and is inexpensive product that does a great job each and every use. Tiffany wants to give one of Annie's Home readers their own Sand Gone. To enter contest visit the Sand Gone website and let me know something that I did not share with you. My thoughts: our pillow pet is shared between my granddaughter and my 18 year old son. They both loved our frog. I loved the softness of the pillow pet. The construction and ease of going from pillow to pet are what I would call great. 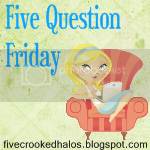 Win: one of Annies Home readers will thier choice of pillow pet. To enter giveaway go to the Pillow Pet website and let me know which one of the fun pets is your favorite. Giveaway starts now and will run through June 10, 2010 Good Luck. 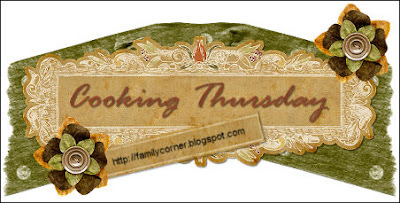 Email must be in comment or on blog profile. Snackpicks.com is featuring many great recipes for memorial day and grilling on their site. This sandwich sounds like one my teens will love. Not only are my teens embarking on new paths of life but I feel that we all walk new paths through life. 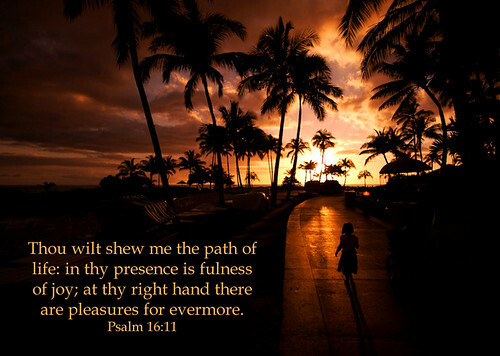 The best part is that this walk can be with our Lord and therefore we are never alone. To me knowing I can trust in my lord and walk with him daily is more to me than riches and gold. Winner of Crazy Dog Tee that saw lots of great entries Thank You!!! all winners have been notified and have 2 days to respond. The first tip was to oil it. I never really thought about it but sounds like a great idea. Use canola or olive oil to coat the steak before seasoning. The thought behind this is to get a juicier steak and perfect charring. A hot grill is best for cooking steaks. The heat allows the perfect charred outside and juicy inside. The tip about flipping it suprised me. Flipping steak too often can mess up the charring of the meat and get rid of most of the seasoning. Dragging steak when flipping also can remove seasoning. When flipping they advise to pick up in a straight motion and place back in same smooth way. 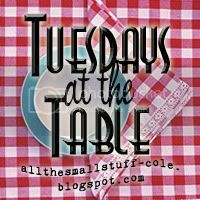 The last was a tip I do all the time since a blogger advised me quite a ways back. Let the meat rest for 5 minutes before cutting. This allows the juice of the steak to make its rounds and create a tender steak. Kraft has lots of great grilling summer recipes available on their website where I found this recipe. You may just want to check them out as well. MIX cream cheese and sour cream in medium bowl until well blended. ADD remaining ingredients; mix well. REFRIGERATE 1 hour. Serve with assorted NABISCO Crackers or cut-up fresh vegetables. Kraft Kitchens TipsVariation Prepare using PHILADELPHIA Neufchatel Cheese and BREAKSTONE'S Reduced Fat or KNUDSEN Light Sour Cream. “Our view of the Holy Spirit is too small. but we have to remember that the Holy Spirit lives in us. I may of shared this picture before but I wanted a great picture of my little princess and this one shows her smiling and happy. So of course nana loves it. No better picture in my opinion for Ruby Tuesday than a smiling pic with dad sporting a red striped shirt. Preheat oven to 350°. Combine first 5 ingredients in a large bowl; beat at medium speed of a mixer until well-blended. Spoon batter into a 13 x 9-inch baking pan coated with cooking spray. Bake at 350° for 25 minutes or until a wooden pick inserted in center comes out clean. Cool in pan 10 minutes on a wire rack; remove from pan. Cool completely on a wire rack. Combine milk and pudding mix in a medium bowl; prepare according to package directions. Cut chicken into serving pieces. Wash well, and pat dry. Combine flour, salt and pepper. Roll each chicken piece in flour mixture, coating well. Beat eggs with the 2 tablespoons of water. Roll each floured piece in the egg mixture and then again in the flour mixture. Heat about 1 inch of fat in a heavy iron skillet or an electric frying pan. When fat is smoking hot, lay in the chicken pieces (do not crowd). Cover and cook 15 minutes, or until it is golden brown on one side. Turn chicken; cover and cook until the chicken is a deep brown on the underside, about 15 minutes. Remove cover. Cook about 5 minutes until the chicken is a deep rich brown on one side; turn and fry uncovered for another 5 minutes or until other side is brown. Remove chicken from skillet and place on brown paper to drain. Cool slightly before serving. Heat and cook slightly the pineapple (do not boil). Add 1 box Jello to hot pineapple and stir until dissolved and then discontinue cooking. Place in refrigerator. When cold and syrup add cottage cheese. Add Cool Whip and mix together. Mix in walnuts and coconut. Pour into a bowl and place in the refrigerator to set. Prepare and bake Angel Food Cake according to package directions, using a10 inch tube pan. Remove from oven when baked and invert onto wire rack to cool completely, about 1 hour. With a serrated knife, about 2 inches down from top, gently cut top with knife and turn cake as you cut through. Carefully scoop out insides of cake carefully, put scooped out cake insides in medium sized bowl. 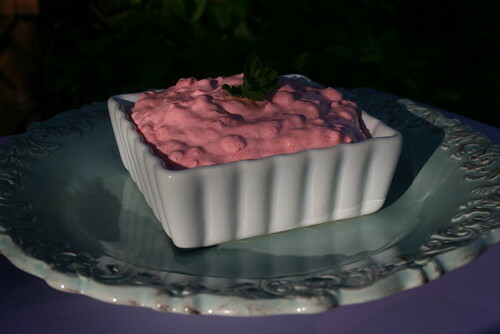 Leave about 1/4 inch on bottom and sides to hold the strawberry mousse. Prepare Strawberry Mousse . Mix together approx. half of mixture and 1 cup sliced strawberries in bowl, folding gently to mix. Pour into hollowed out cake. Cover with Top of cake that was set aside. With remaining Strawberry Mousse frost your cake using a large spatula. Place cake in refrigerator until set about 1 - 2 hours. To garnish - Place Sugar Candy Daisies, Candy Hearts or Chocolate Candies like Smarties or Gummy Worms randomly on cake, covering top and sides. Optional - Place fresh whole strawberries, raspberries or blueberries randomly on top of cake for a nice added touch. With leftover cake pieces that you scooped out makes one great favorite in Jello Recipes.Pick a Jello flavor of your choice and make according to package directions. Place in refrigerator to partially set. Fold in Whipped Cream that has been whipped and mix gently until well combined. Fold in Cake pieces until covered. Add fresh fruit if desired, strawberries or blueberries are great. 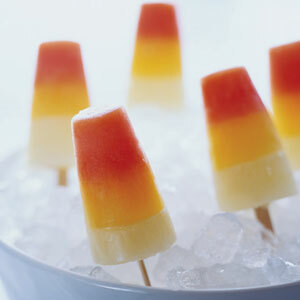 Place in refrigerator and let set for at least 1 hour. 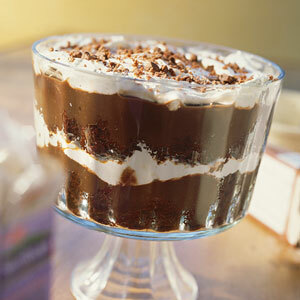 Serve this dessert recipe for a midnight snack or a delightful dessert for your table!